If there’s one thing that editing GymTalk has made apparent over the last few years, it’s that most people are still completely clueless when it comes to bodybuilding and working out. Now, obviously this charming fellow is a rather extreme example, but the average lifter still believes all their answers lie in unproductive bodypart splits, “time under tension” and supplements. Fact is, most people just don’t want to put any real effort in – they want to believe in easy alternatives, pills and powders, and a magical “mind muscle connection” that excuses them from having to lift heavy. This easy-way-out mentality isn’t helped by a shameless fitness industry which profits from peddling the “shortcut to fitness” dream, be that by ineffectual supplements, cookie cutter diet plans or useless celebrity workout DVDs. To build strength, muscle and power naturally, the answer, as we’ve said time and again, lies simply in full-body routines, hard work and consistency. Rather than devoting one session to arms, one to shoulders, one to your left rhomboid, full-body routines will have you hitting every body part every session, and lifting until you feel you’re about to collapse. Instead of leisurely working your way through five varieties of the hammer curl without breaking sweat, you’ll be moving from squats to presses to rows, exhausting your muscles and truly taxing your CNS, rather than just training for a “wicked pump” that will build the same amount of muscle as joining a conga line at Butlins. These formidable routines were favoured by every single bodybuilder of the pre-steroid era, particularly the great Steve Reeves, who performed full-body workouts with a ferocious, matchless intensity and achieved incredible results. For many bodybuilding devotees, Steve Reeves is the ultimate exemplar of the classic, natural physique. A Mr Universe winner and icon of the silver screen in the 1950s, Reeves boasted a legendary figure which combined perfect symmetry, classic lines, a tiny waist and hard, perfectly proportioned muscles. 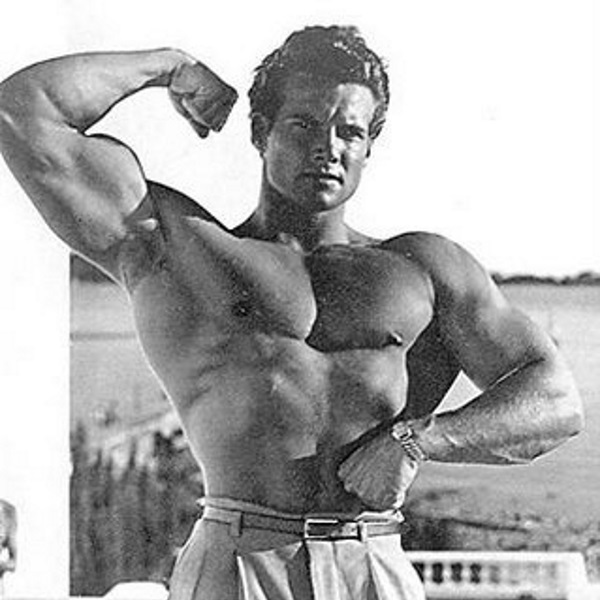 Like other natural bodybuilders, such as John Grimek, George Eiferman, Reg Park and Leroy Colbert, Reeves denounced the era of split training methods ushered in by steroid use and continued to advocate the effectiveness of full-body training in publications such as Building The Classic Physique The Natural Way (1995). One of Reeves’ favourite full-body workouts was the ‘Classic Physique’ routine, which was first printed in an article he wrote for the May 1951 issue of Your Physique magazine (published by Joe Weider). Below you’ll find the exact routine as it appeared back in 1951. Like most full-body routines, this workout should be performed three times per week, allowing plenty of time for rest and recovery. Each workout is likely to last a few hours – indeed, Reeves, as Grimek recalled in the November 1964 issue of Muscular Development, typically took “anywhere from two to four hours” to complete his usual routine. But that’s the whole point with a full-body routine – the workouts are long and intense, but so are the rest periods between sessions, allowing your muscles all the time they need to repair and grow. To maximise recovery, Reeves typically advised a day and a half of rest between sessions. In this case, you would train Monday morning, Wednesday evening, and Saturday morning. Steve Reeves’ work ethic in the gym was legendary. During training for the 1950 Mr Universe contest, his friend John Grimek, a legendary bodybuilder in his own right, reflected that Reeves “seldom sat around talking and killing time”; he “put everything” into every session and “put a lot of concentration into each and every movement”, resting “only after he finished his training and had his shower”. Ensure you apply this zoned-in mentality when performing the routine and save the socialising and chit-chat for the changing rooms. Keep your form strict and keep to a tempo of two seconds for the concentric part of the lift and three seconds for the negative, emphasising the latter as much as possible. All sets must be performed to failure – i.e. until you have nothing left in the tank. Take 45-60 seconds rest between sets and two minutes between each exercise. As detailed in our review of the 20 rep squat routine, ‘breathing squats’ require you to pause and take deep breaths between each repetition. Unlike today, bodybuilders of the Steve Reeves era placed a great deal of emphasis on ribcage development. By expanding the ribcage with breathing squats and other exercises such as dumbell pullovers, the idea is that your torso will be able to support more muscle. This was Reeves’ favourite exercise. While performing the seated curl, focus on getting as much as you can from the negative portion of the rep.
Grimek noticed how Reeves would “kick up the weight with his knees and then strongly resist as he lowered the weight”. Essentially lunges but holding the barbell in a squat position. Like a standing forward dumbbell raise, but performed lying down on a mat. The Steve Reeves ‘Classic Physique’ Routine is a traditional full-body programme that demands maximal effort but will yield maximal results. This is an absolutely mammoth workout from an era when men were men and bodybuilders earned their physiques through sweat and toil, not by injecting themselves with steroids, flogging baseball caps and whoring themselves on Instagram. As well as allowing you to develop real-world muscle, strength and power, this old-school approach to bodybuilding will do wonders for your health and vitality and instill in you a champion, Herculean mindset. Work hard, rest hard, eat lots of protein, and, above all, have some fun! Fancy giving the Steve Reeves ‘Classic Physique’ routine a shot? Any other full-body routines that you’d recommend? What’s your opinion on this old-school method of training? As always, I’d love to hear from you in the comments section below!